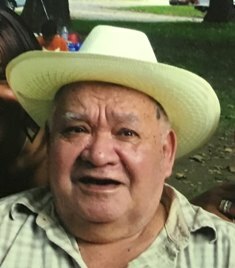 Luciano Ortiz, 87, of Bethlehem, passed away November 19, 2018 surrounded by his loving family. He was the loving husband of the late Cristina (Rodriguez) Ortiz. Born in Puerto Rico, he was the son of the late Jose and Juana (Santiago) Ortiz. Luciano loved his family and will be deeply missed. Children- Luis Ortiz of Allentown, Juanita Ortiz of Bethlehem, Israel Ortiz and wife Angela Marino-Ortiz of Delray Beach, FL, Everaldo Ortiz of Allentown, Migdalia Rosado and husband Antonio of Florida, Maria Colon and husband Jimmy of Allentown, Edda Diaz of Bethlehem, Norma Ortiz of Bethlehem; 25 grandchildren; 42 great grandchildren; 3 brothers; 4 sisters and many nieces and nephews. He was predeceased by 3 children, 2 sisters and 2 brothers. A viewing will be held Saturday November 24th 10-11AM with a Service at 11AM in Downing Funeral Home, Inc. 1002 W. Broad St. Bethlehem, PA 18018. Burial to follow in Holy Saviour Cemetery. In lieu of flowers, donations can be made to the funeral home toward the funeral expenses. Edward P. O’Hora, 88, of Bethlehem, passed away October 16, 2018. Edward was the son of the late Olive M (McIntyre) and Joseph O’Hora of Dunmore, PA. The family came to Bethlehem in 1937. Edward graduated from Liberty High School, Class of 1949. Edward served his country well during the Korean War as a member of the Air Force- Military Police, a member of the Air Police Team from Shepherds Grove, England, representing the United Kingdom. He won first place with the M-1 rifle. Edward worked as a manager for Almart Department Store of Bethlehem. He enjoyed gardening, feeding the birds, and making country crafts along with his dear friend Dot. He is survived by his sister- Olive, cousins, nieces and nephews, great neighbors and his health aide- Sherri. He was predeceased by his sister- Mary and brothers- Joseph and William. A viewing will be held on Monday, October 22nd, 10-11AM with a Service to follow at 11AM in Downing Funeral Home, Inc. Burial to follow. Contributions can be made in Edward’s memory to the Friends of the Mounted Unit or the K-9 Unit for the Bethlehem Police care of the funeral home. Rosemarie “Rose” C. (Peters) Ortwein, 97, of Fountain Hill, passed away October 1, 2018. She was the wife of the late James J. Ortwein. Born in Bethlehem, she was the daughter of the late George P. and Anna I. (Mingora) Peters. Rose worked for the former Browns Flower Shop. 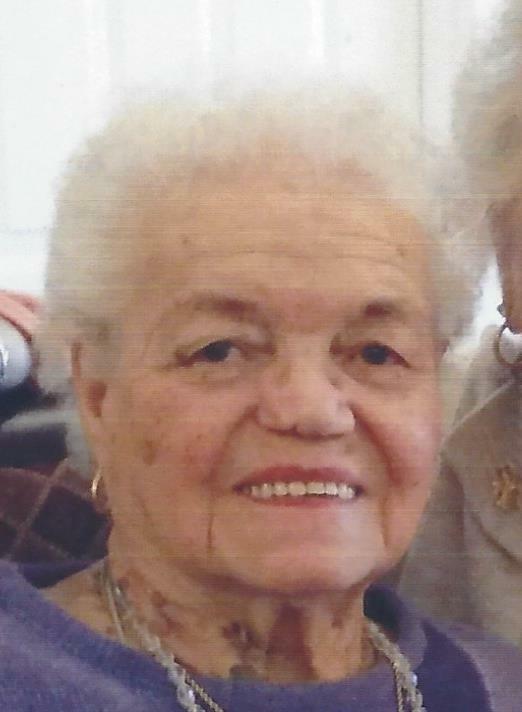 She was a member of St. Ursula Catholic Church and the Golden Hillers. Survivors: daughter- Beverly wife of the late Warren Ruppert of Macungie; grandchildren- Deborah Eberts, Denise Ryerson and Warren Ruppert Jr.; 7 great grandchildren; great grandson- Damien; brother- Charles Peters of Bethlehem. She was predeceased by her sister- Mary Malinski and brothers- John, George and Edward Peters. A viewing will be held Saturday, October 6th 9:15-9:45AM with Mass of Christian Burial to be celebrated at 10AM in St. Ursula Catholic Church 1300 Broadway Fountain Hill, PA 18015. Burial to follow in Holy Saviour Cemetery, Bethlehem. Arrangements entrusted to Downing Funeral Home, Inc. Contributions can be made in Rose’s memory to the church. James R. O’Rourke, 69, of Northampton, passed away June 11, 2017. He was the loving husband of nearly 46 years to Anna P. (Teubert) O’Rourke. Born in Brooklyn, NY he was the son of the late John and Frances (Armentani) O’Rourke. James earned his Associate’s degree from Pace University in NY. He worked as a school bus driver for 1st Student for 8 years. Survivors: wife- Anna P. O’Rourke; son- James J. O’Rourke and wife Heather of Martinsburg, PA; daughter- Diane M. O’Rourke of Bethlehem; grandsons- Ivan R. Cottrell and Colin J. O’Rourke; sisters- Matilda Bontempo, Isabelle Narbuth and Christine Muldoon. James was predeceased by siblings- Viola Pacquin, Edward O’Rourke and Margaret Shank. A viewing will be held Friday 6-8PM and Saturday 10-11AM with a service at 11AM all in Downing Funeral Home, Inc. 1002 W. Broad St. Bethlehem, PA 18018. Mary E. O'Hora, 99, of Bethlehem, passed away November 19, 2016. Born in Dunmore, she was the daughter of the late Joseph F. and Olive M. (McIntyre) O'Hora. Mary retired in 1981 from the library in the Homer Research Dept. for Bethlehem Steel, after 20 years of service. She was a member of Saints Simon and Jude Catholic Church; their Seniors, Busy Bee's and the 55 & Up Club. Mary was a previous Vice President of the St. Bernard Auxiliary. She loved playing pinochle, traveling with her sister and her specialty was making Raggedy & Ann and Andy dolls. Mary's family would like to thank Holy Family Manor's 2nd floor staff for their compassion and care. Survivors: Sister- Olive M. O'Hora of Bethlehem; Brother- Edward P. O'Hora of Bethlehem; Nieces and Nephews. She was predeceased by her brothers- Joseph and William. Services: A viewing will be held on Tuesday 11:00-11:45AM with Mass of Christian Burial to follow at 12PM all in Saints Simon and Jude Catholic Church 730 W Broad St. Bethlehem, PA 18018. Burial to follow in Holy Saviour Cemetery. Contributions: Contributions can be made in Mary's memory to the church care of Downing Funeral Home, Inc.
Brenda Tyler (Farese) Okonsky, 55, of Bethlehem, passed away June 29, 2016 surrounded by her loving family. She was the devoted wife of over 25 years to Gerard T. Okonsky. Born in Morristown, NJ she was the daughter of the late Robert Farese and Barbara (Blood) Hinds. Brenda worked as a Registered Nurse for the Carrier Clinic in New Jersey for over 20 years and then for St. Luke’s Hospital in Bethlehem. Brenda was known to take in and care for many stray animals, especially dogs. 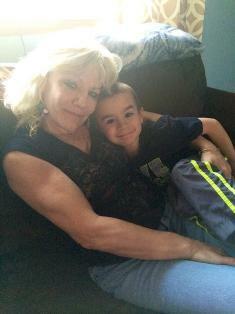 And spending time with family and spoiling her grandchildren were very special to her. Survivors: Husband- Gerard Okonsky; Children- David Blue Okonsky and wife Ashley of Wind Gap, Raymond Joseph and husband Jeffrey of Walnutport, Melinda Okonsky of Easton; Grandchildren- Codi and Lila; Mother- Barbara Hinds of Morristown, NJ; Sister- Dana Farese of Hillsboro, NJ; Mother-In-Law- Anne Marie Okonsky of Raritan, NJ; Father-In-Law- Raymond Okonsky and wife Patricia of Somerville, NJ and many Okonksy family members. A viewing will be held on Friday 6-8PM in Downing Funeral Home, Inc. 1002 W. Broad St. Bethlehem, PA 18018. A viewing will be held Saturday 9-9:45AM with Mass of Christian Burial to be celebrated at 10AM all in Sacred Heart Catholic Church 1817 1St. St. Bethlehem, PA 18020. In lieu of flowers, donations can be made in Brenda’s memory to the Pediatric Cancer Foundation of the Lehigh Valley 25 W. 3rd St. Bethlehem, PA 18015. 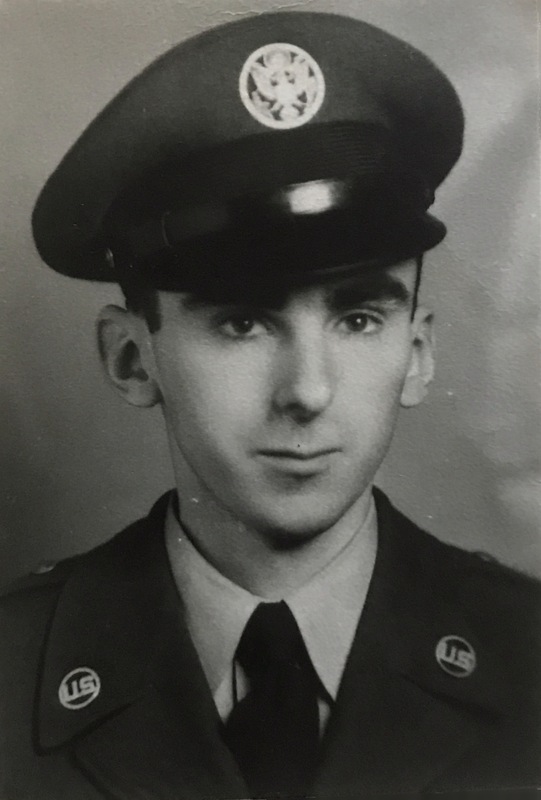 Gerald P. O’Leary, 82, of Hellertown, passed away December 31, 2015. Born in Philadelphia, he was the son of the late Thomas and Catherine (Healy) O’Leary. Gerald served in the U.S. Air Force as a MP in Germany during the Korean War. He worked as a Technician in the Heating and Air Conditioning Industry for many years and then retired from the Bucks County Housing Authority. Gerald was a member of St. Theresa’s Catholic Church. He enjoyed sports and was an avid reader. Daughter- Deborah Bivighouse and husband Greg of Patten, Maine; Grandsons- Colton and Everett Bivighouse; Friend- Shirley O’ Leary of Ottsville; Many Nieces and Nephews. He was predeceased by 4 Brothers and 2 Sisters. Mass of Christian Burial will be celebrated Tuesday at 10AM in St. Theresa’s Catholic Church 1408 Easton Rd. Hellertown, PA 18055. Burial to follow in Bethlehem Memorial Park. Arrangements care of Downing Funeral Home, Inc. In lieu of flowers, donations can be made in Gerald’s memory to the American Cancer Society 3893 Adler Place Suite 170 Bethlehem, PA 18017. 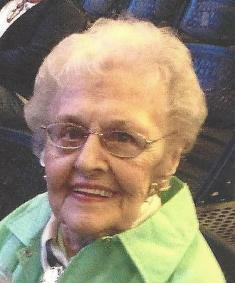 Ann S. (Stier) Ortwein, 91, of Bethlehem, passed away Thursday, September 25, 2014 in St. Luke’s Hospital Fountain Hill. She was the wife of the late Albert Ortwein. Born in Bethlehem, she was the daughter of the late Jacob and Hedwig (Gitschier) Stier. She was a member of the University Parish of Holy Ghost Catholic Church. Ann worked for Bethlehem Steel and then for Sears as a Telephone Order Supervisor. She volunteered for St. Luke’s Hospital Fountain Hill from 2002-2011. She was predeceased by her sisters- Matilda, Helen and Hedwig. A viewing will be held on Monday 6-8PM in Downing Funeral Home, Inc. 1002 W. Broad St. Bethlehem, PA 18018. Mass of Christian Burial will be celebrated at 10:30AM in University Parish of Holy Ghost 417 Carlton Ave Bethlehem, PA 18015. No calling hours on Tuesday. Burial will follow in the parish cemetery. Donations can be made in Ann’s memory to the church. Bethlehem, PA and Allentown, PA.